Take your mind places no matter where your body is. 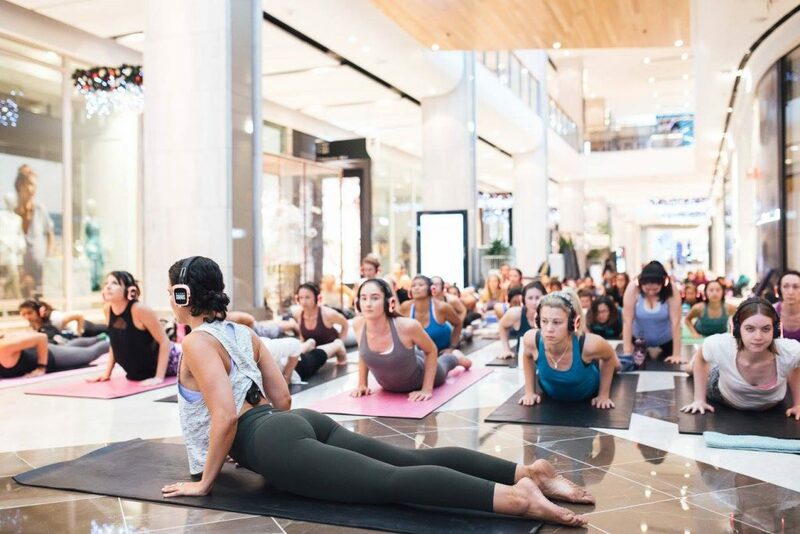 Imagine being able to teach a yoga class in any venue or park without speakers? Well, now it’s possible to host wellness classes for hundreds of people at a time. With our wireless headphones, teachers can deliver an immersive and intimate experience for class attendees alleviating the stress of amplified music and noise restrictions. Silent fitness is gaining popularity across North America and Europe. Allowing instructors, who are often accompanied by a DJ, to deliver their classes to the participants in a personal and unique manner. Teachers can be as far as 500m away and students will still hear them as if they were whispering in their ear. Our technology will also alleviate any stress thanks to an easy set up and pack down. Choose from 1 – 3 classes to be broadcasted at a time.